Knot Standard is a custom luxury menswear company. We are seeking a highly motivated, organized, & detail-oriented Creative Associate to join Knot Standard & spearhead our fast & reliable growth in our NYC HQ in the Flatiron District. The Creative Associate will not only provide direct support to the Marketing team but will have the opportunity to join a company that is global, fast growing, & places great value on employee innovations that make the customer experience exciting & enjoyable. Knot Standard is a luxury custom menswear company with one goal; to consistently offer premium service, selection combined with tradition & classic tailoring, for our client & his personal stylist to create the lifestyle he desires. To date, we operate 9 appointment-only showrooms in New York, Chicago, D.C., Houston, Austin, Dallas, San Francisco, Los Angeles, & Atlanta. 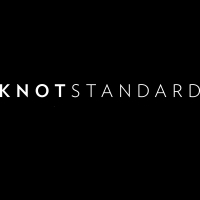 Coupling high-touch client experience & strong product knowledge, Knot Standard is redefining the apparel industry.